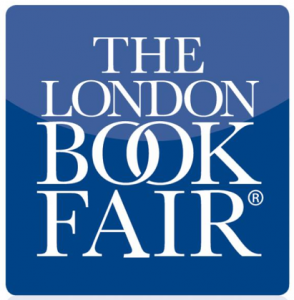 The London Book Fair (LBF) is an international marketplace for the publishing industry – an event for the negotiation of rights, and the sale and distribution of content across both print and digital formats. Each year the Fair has a Market Focus. This throws the spotlight on the publishing industry in a given country, and encourages trade between it and the rest of the world. This year LBF, in April, will have South Korea as its Market Focus. To run alongside the Korea Market Focus, The British Council, in partnership with The Literature Translation Institute of Korea (LTI Korea), has announced the Korea Cultural Programme. This will feature ten of Korea’s most prominent and exciting writers representing the depth and diversity of contemporary Korean writing across a range of genres and formats. The delegation includes: Hwang Sok-yong, Vietnam War veteran, political dissident and novelist whose best known work is The Guest; Yi Mun-yol, known for his award winning novel, Our Twisted Hero; Kyung-sook Shin, the first Korean, and the first woman, to win the Man Asian Literary Prize for her novel Please Look After Mother; Kim Hyesoon, one of Korea’s most distinguished poets; Yoon Tae-ho, ground-breaking webtoonist; Hwang Sun-mi, author of the bestselling children’s book, The Hen Who Dreamed She Could Fly. These writers will participate in a variety of events, some open to the public. They will explore themes including the literary imagination, change in Korean society, the role of the family in Korean literature, digital innovation in literature and Korean literary traditions. In addition to the Korean writers, The Cultural Programme will involve UK writers, translators and editors. Taken overall, the Cultural Programme will provide an opportunity for UK audiences and publishers to meet and interact with Korean writers, who will in turn be able to engage with their UK counterparts in front of an international literary audience. If you want to begin exploring the energy and diversity of Korean literature in English, the LTI Korea has made a sample of work available to download for free here.